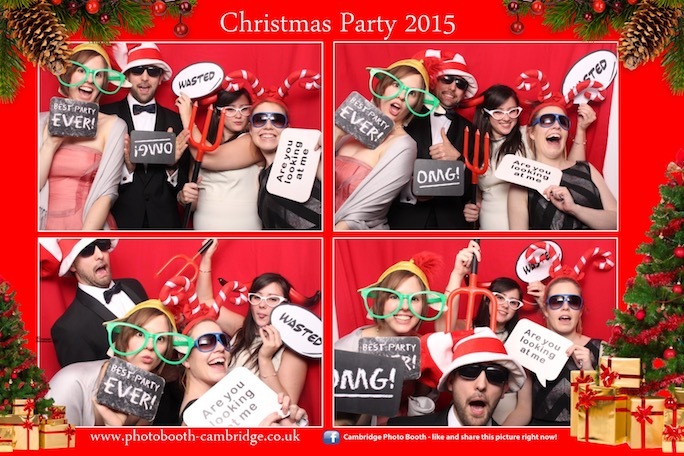 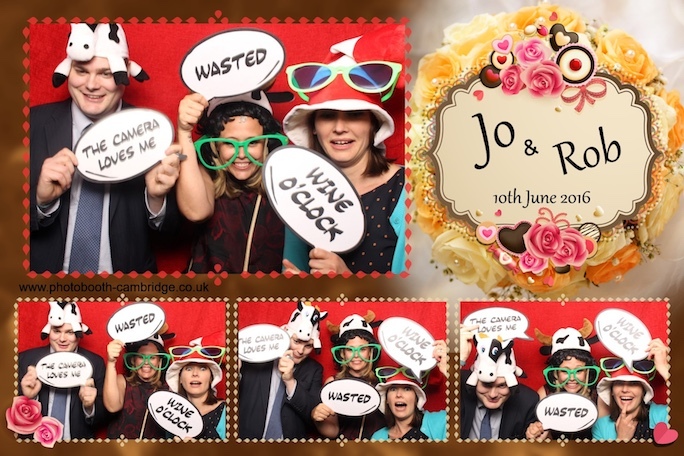 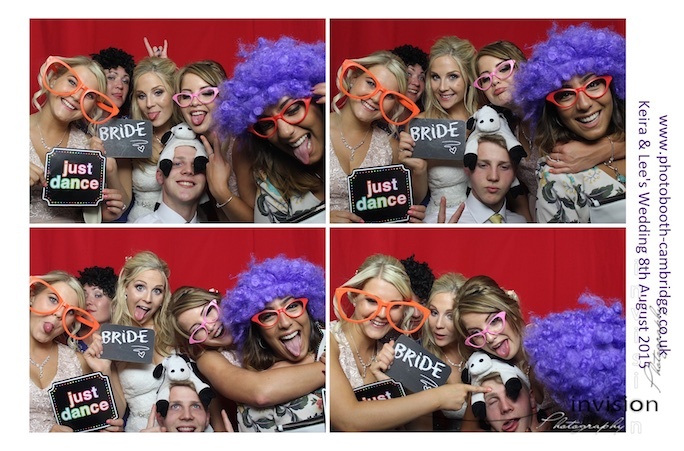 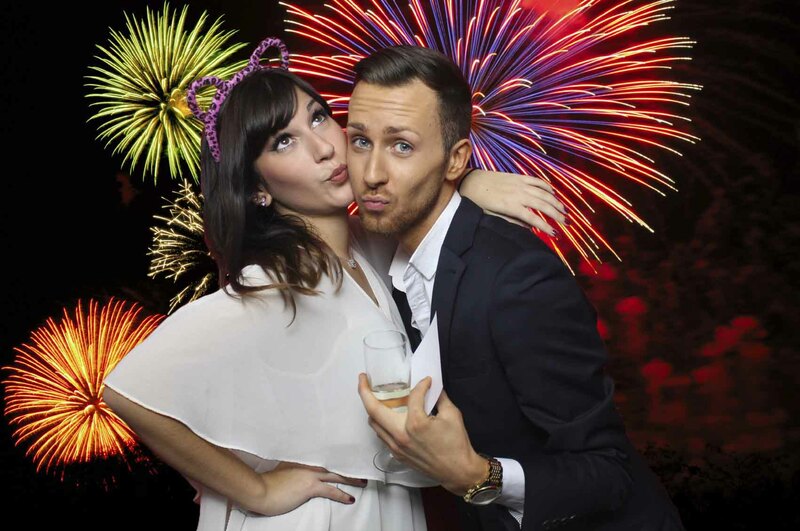 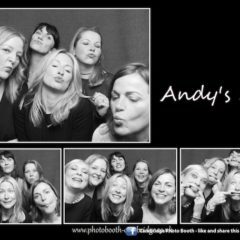 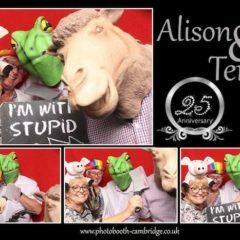 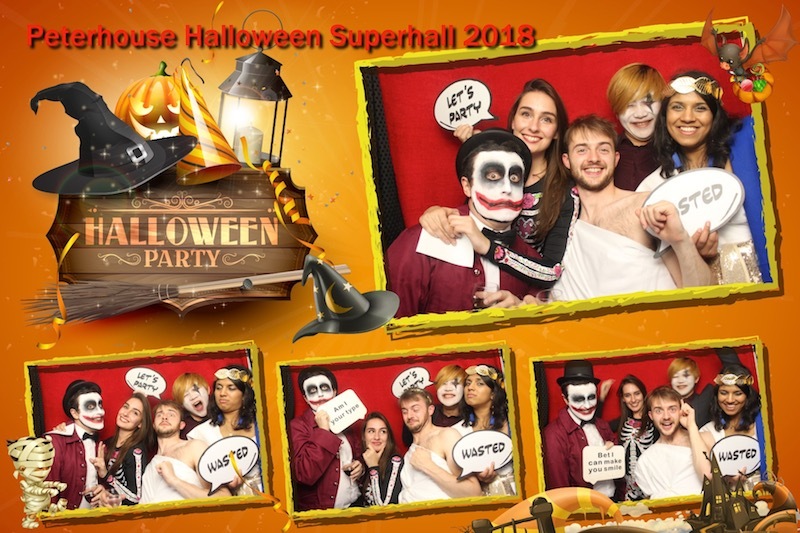 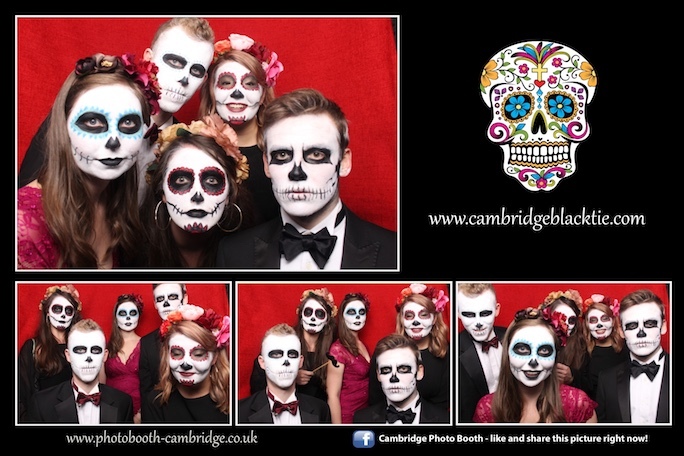 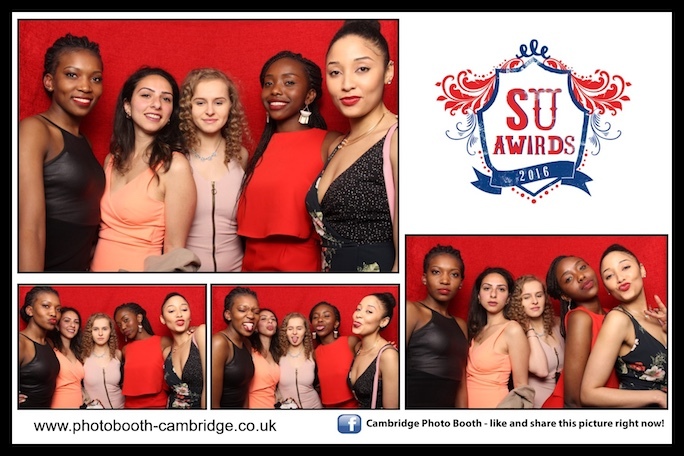 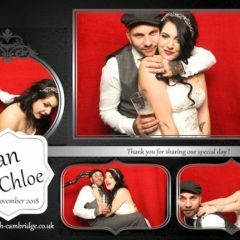 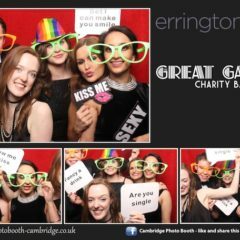 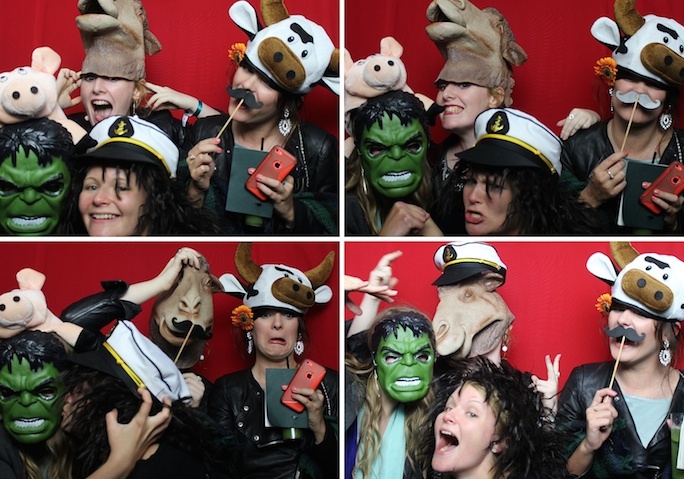 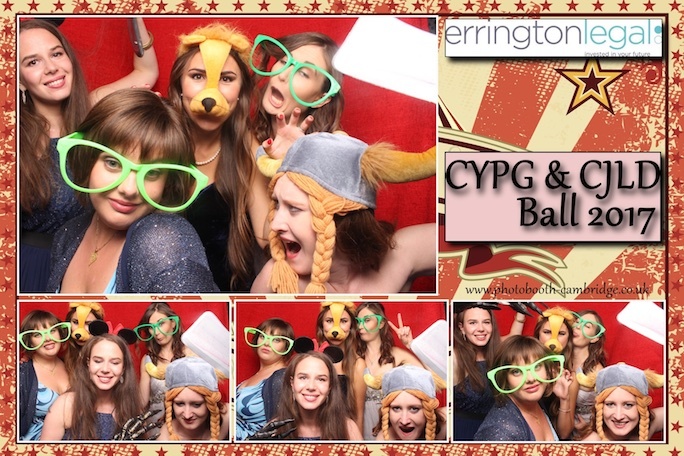 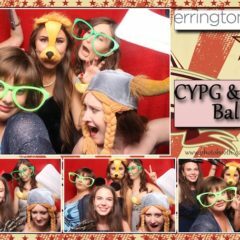 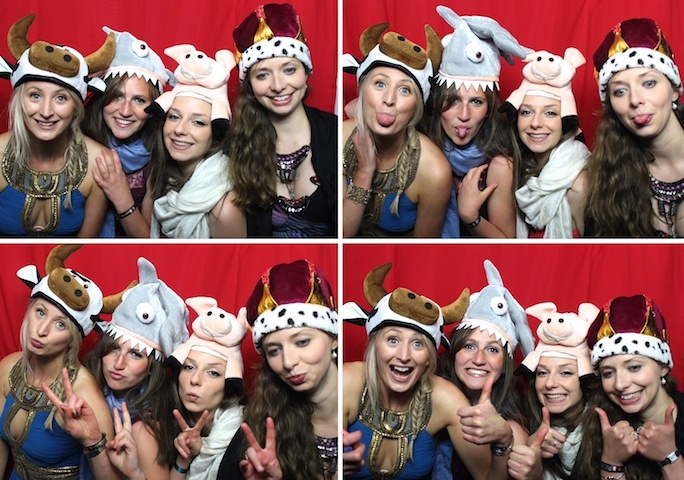 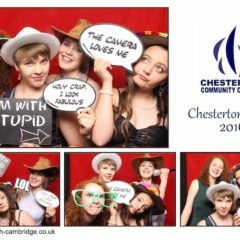 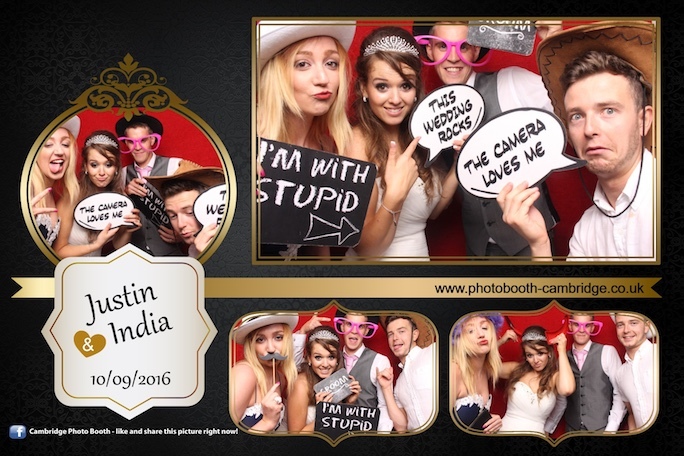 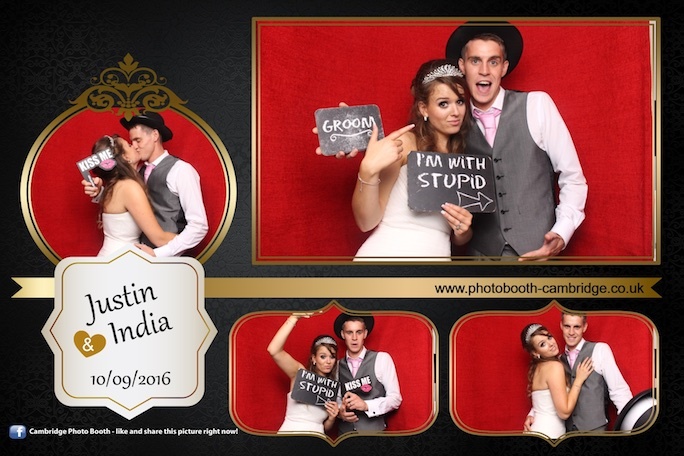 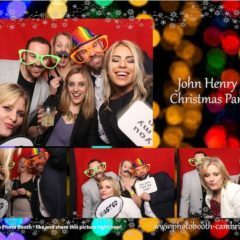 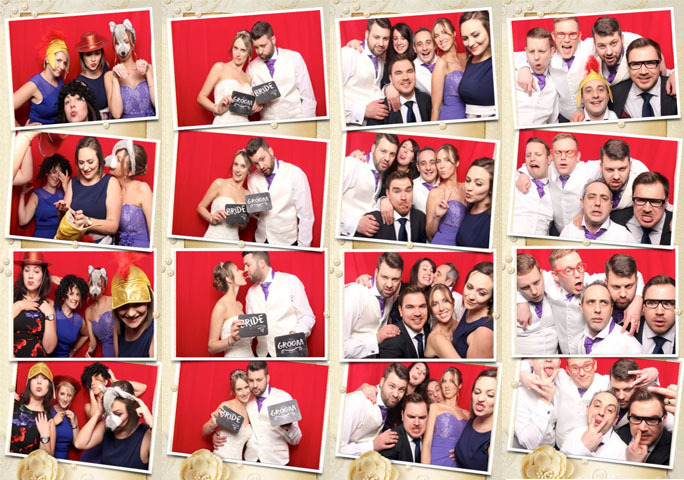 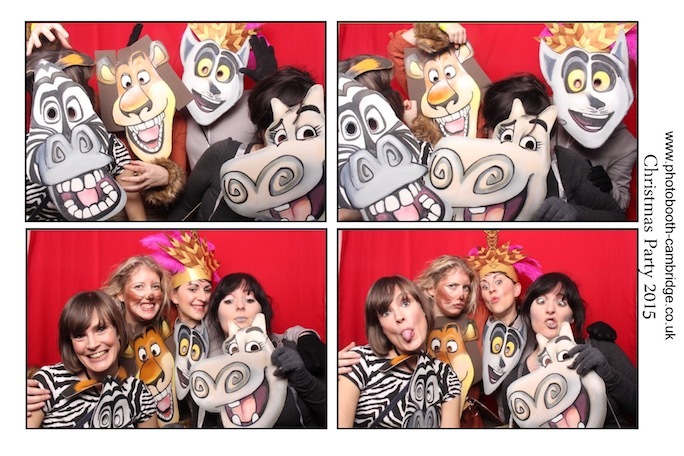 Photo Booth Cambridge, specialising in wedding photo booth and event photo booths. 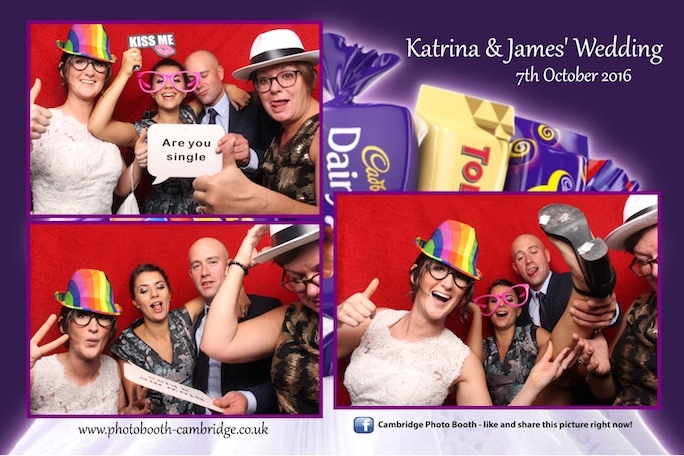 Photo Booth Cambridge uses state-of-the-art equipment, to ensure you will have the best experience possible. 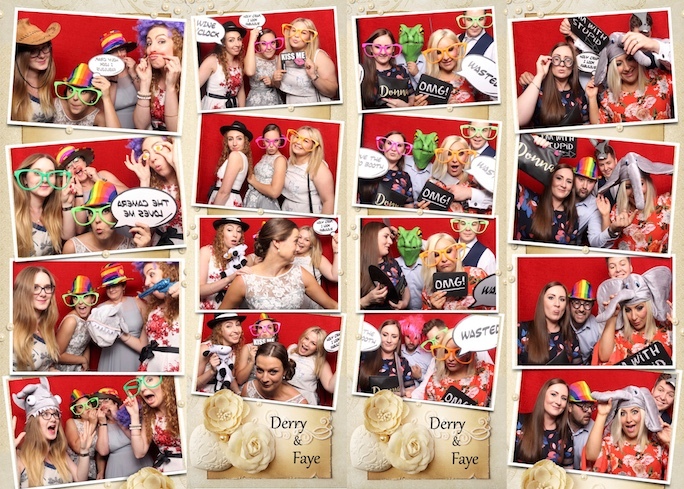 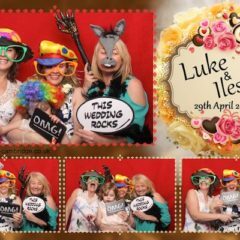 With our packages starting at £295, each of our photo booth clients have the option, free of charge, to have a bespoke designed template for their wedding or event, the photograph is instantly printed and will also have a custom personalized message printed on the side. 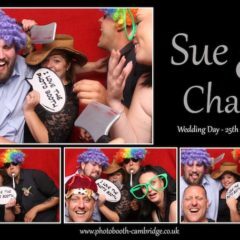 Before leaving the booth, you also have the choice to post your photos directly to your social networking sites such as Facebook or Twitter. 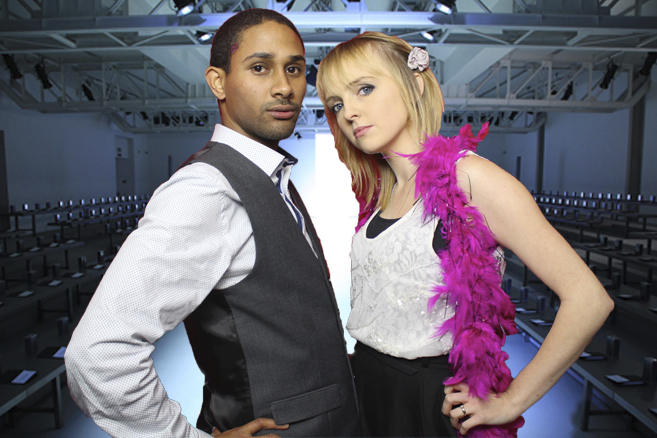 You can change the colour of the backdrop curtain or even use the green screen to add a fun background. 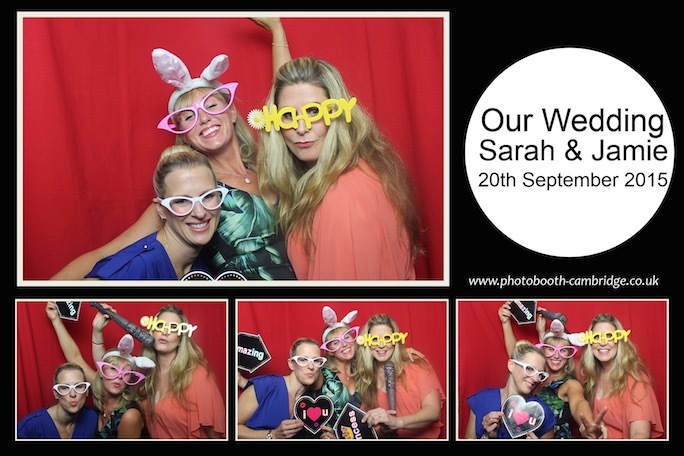 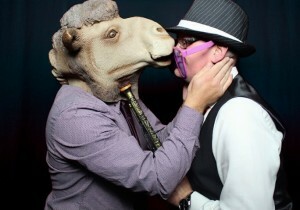 We also offer professional event photography to accompany your photo booth package. 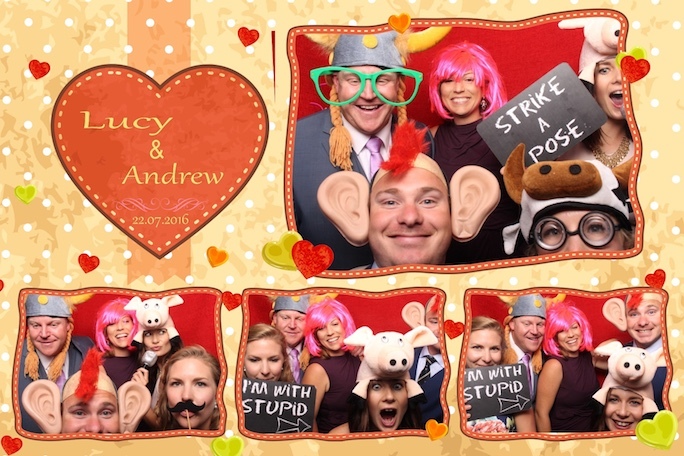 Only the best props for us! 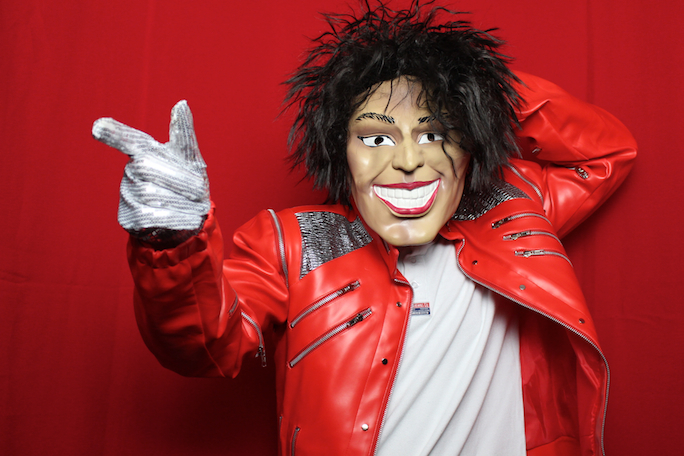 We use the best props available (which we replace for hygiene reasons every few weeks), so after having fun with wigs, hats, masks, and a number of other props, your guests will be talking about it for weeks. 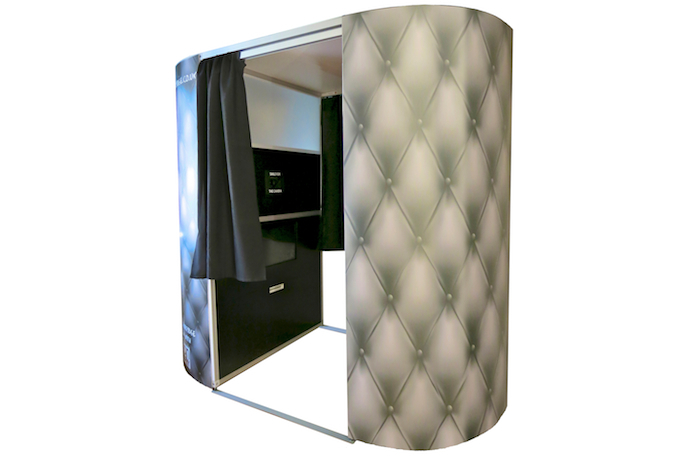 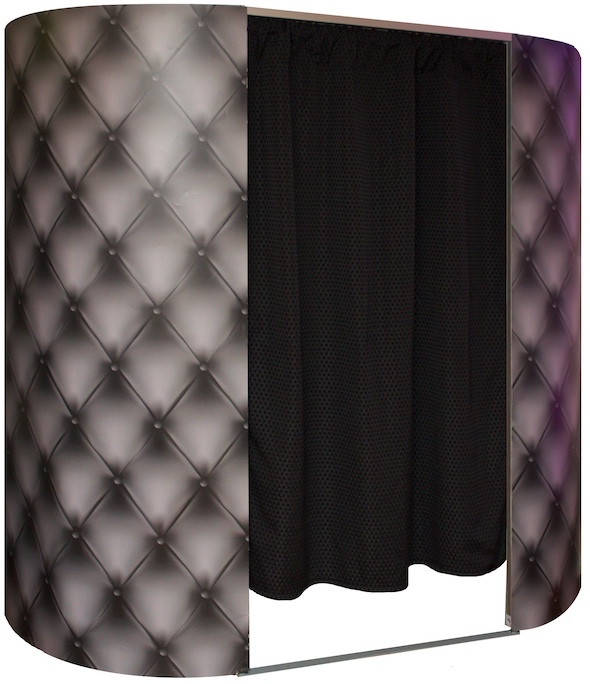 Our booths are fully customisable, giving you the choice to have full- or half-wrap around images of your booth. 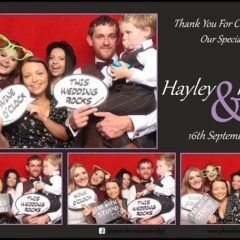 If you are a bride and groom, who would like a picture booth at your wedding, maybe you could have a photograph from your pre-wedding shoot or a holiday you took together; for company events, why not have the company logo. 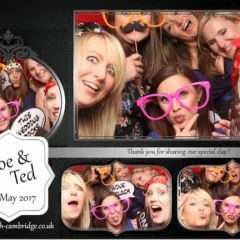 ABSOLUTELY MADE MY WEDDING RECEPTION!!!!!!! 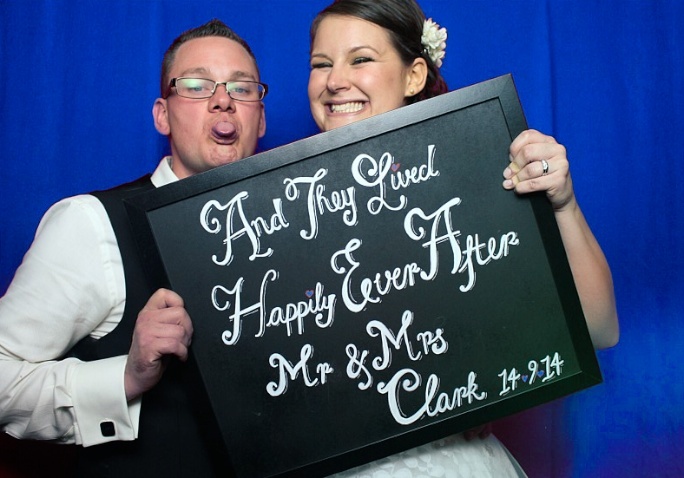 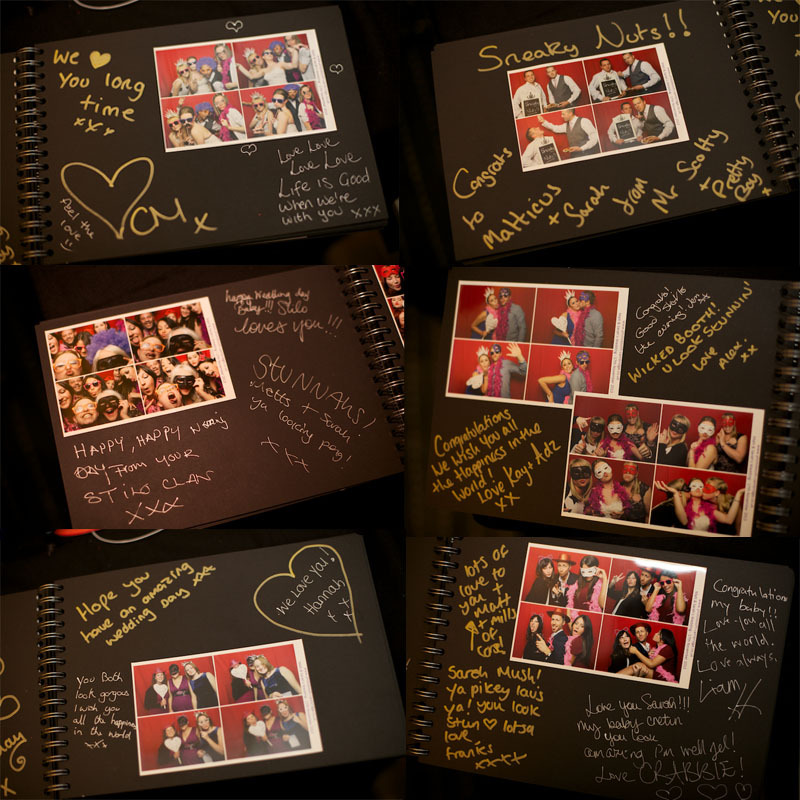 Looking through our booth pictures in our guest book after the reception was fantastic. 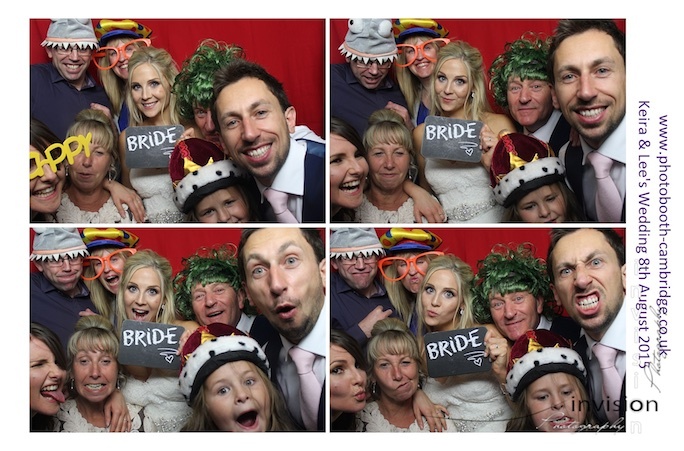 Could not recommend enough 🙂 One happy bride!!!! 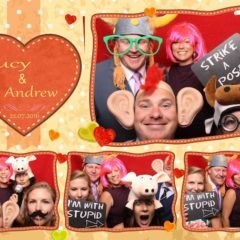 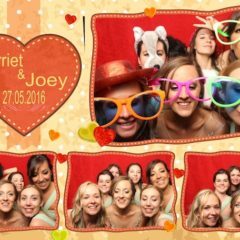 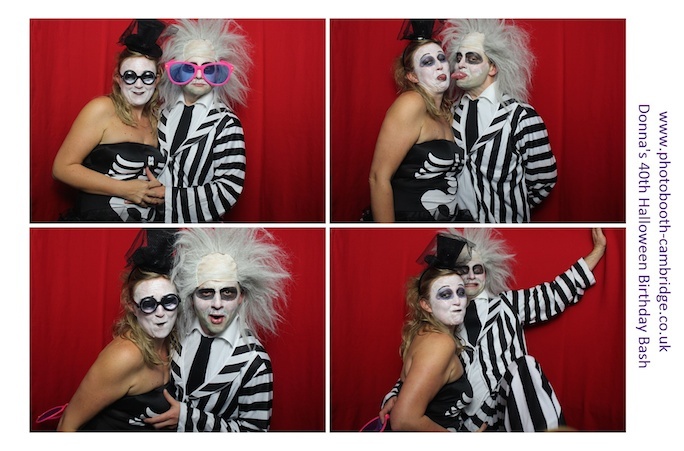 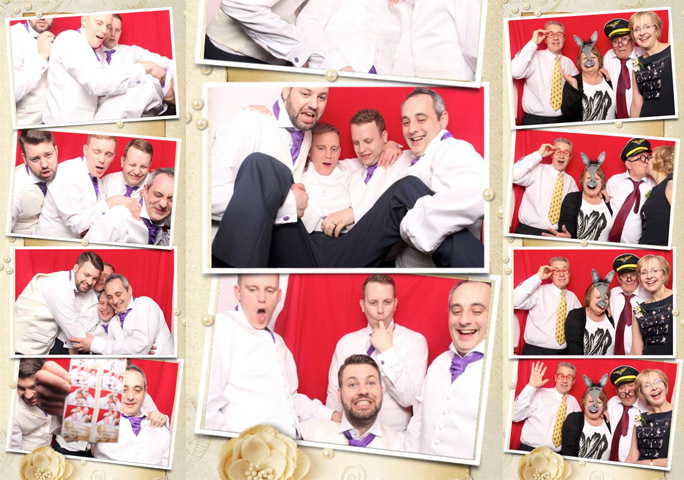 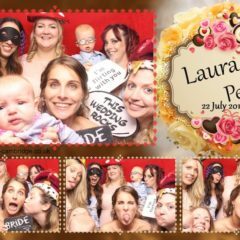 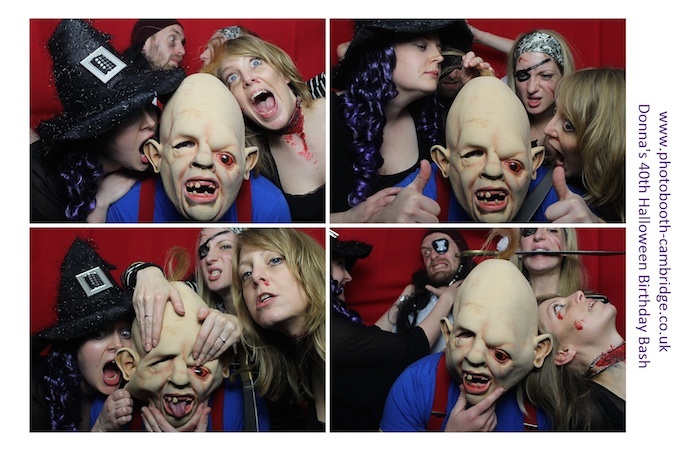 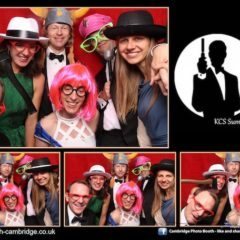 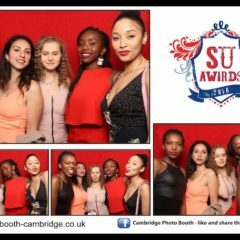 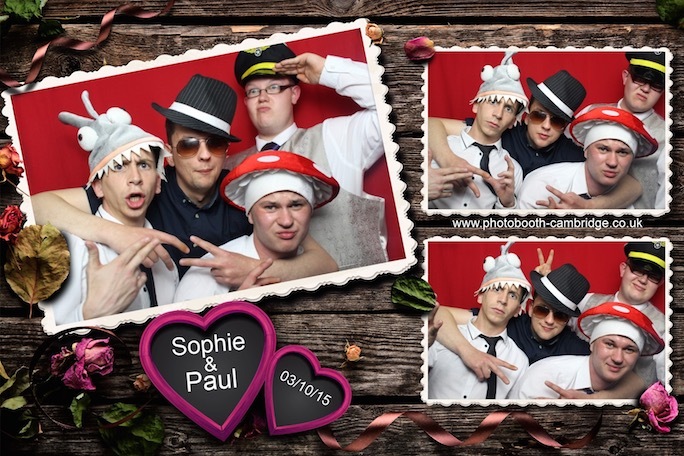 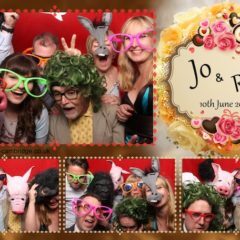 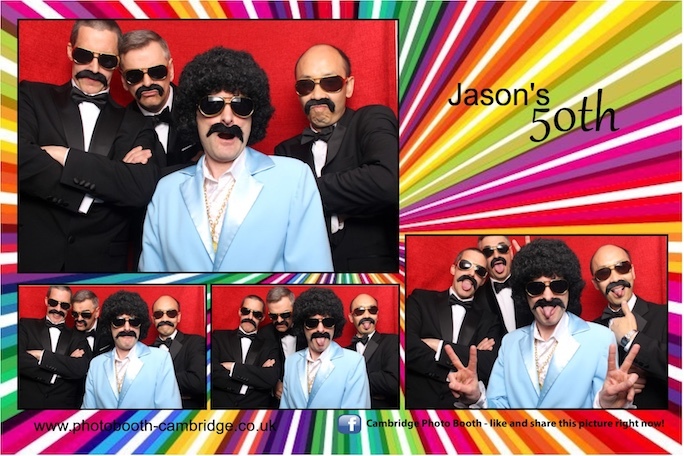 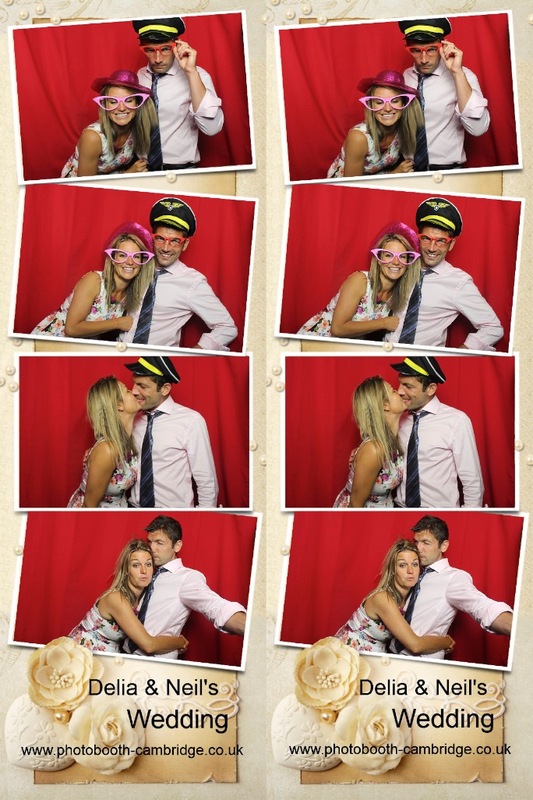 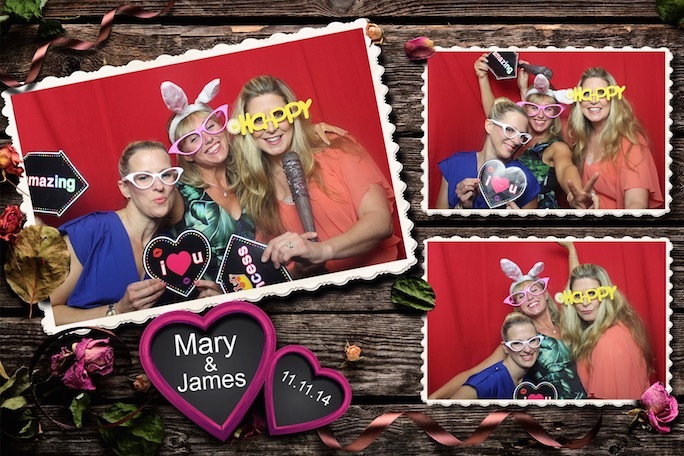 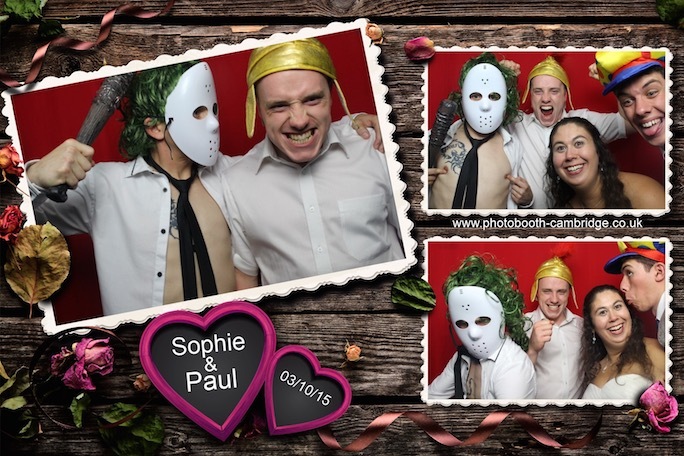 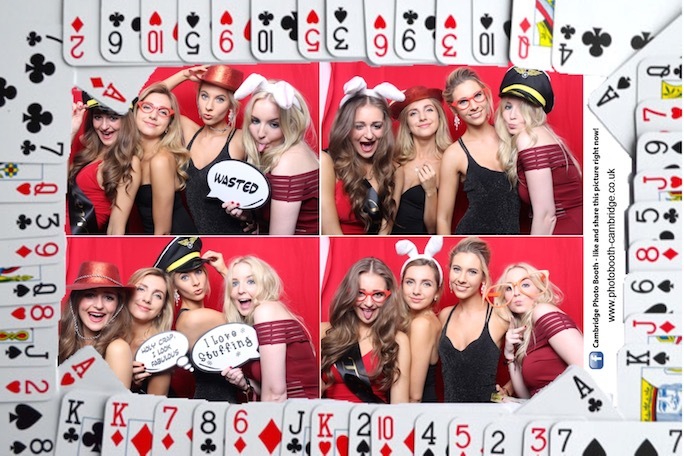 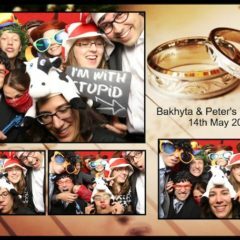 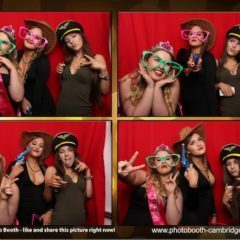 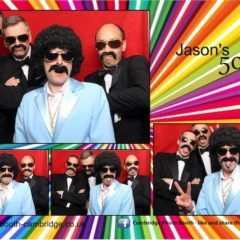 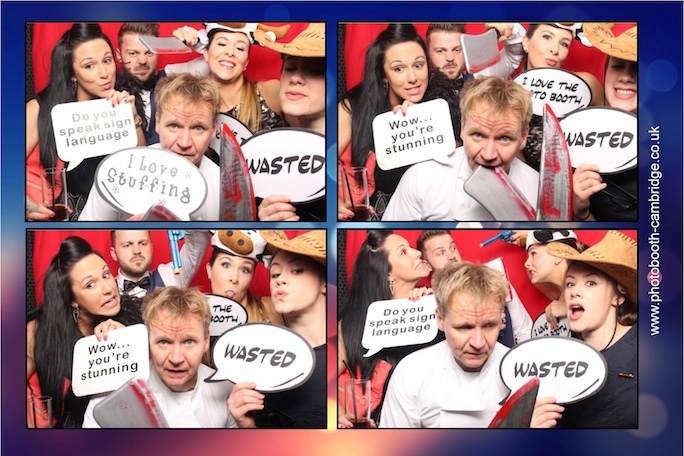 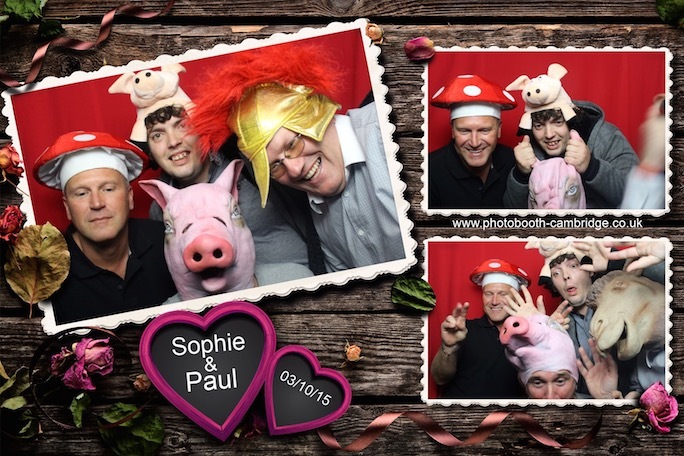 We are the recommended photo booth suppliers for many of the Cambridge wedding and party venues.